If you experience tooth trauma, need to replace an old filling, or need to have a root canal, you’ll want to see a dentist in Newnan. Following a dental exam, you may need a crown. Crowns fit over a tooth to protect it from additional damage and make it last as long as possible. Thankfully, you can get porcelain crowns and find affordable dental care in Newnan. In early dentistry, crowns were primarily made of ivory, bone, and gold. With advancements in dentistry, dentists began to use porcelain. It was first used in crowns in 1905. In the 1950s porcelain was fused to metal crowns to make them strong, long-lasting and natural-looking. Dentistry continues to evolve with advanced tools. New technology helps correct stained, cracked, chipped, broken, loose and unevenly spaced teeth to create beautiful smiles. 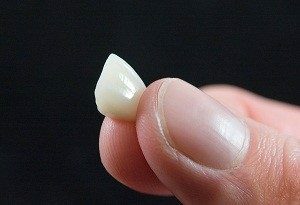 The ceramic in porcelain crowns is almost as durable as natural tooth enamel, particularly when used for a front tooth. Metal amalgam in fillings and crowns have been found to contain potentially toxic mercury. The mercury can travel through the nerves and blood vessels inside a tooth and into the jawbone where it’s taken up by nerve tissue and enters the bloodstream. It can then be carried through the body and stored in tissue and organs. That’s why old metal fillings and crowns are being replaced with porcelain. You can be confident you’re receiving safe dental care in Newnan. Patients who are self-conscious about a damaged or misshapen tooth might be self-conscious about their smile, but reluctant to have a metal restoration, especially on a front tooth. Thankfully, an affordable dentist in Newnan can help you handle the issue. Now, porcelain crowns can be made to match the shape and shade of your other teeth. Since they look so natural, the aesthetic appeal of porcelain crowns makes them ideal for front tooth restorations. The procedure for fitting a porcelain crown is similar to that of other crowns. The tooth to be treated is cleaned, reshaped, and prepared so the crown will fit properly. An impression is taken and sent to the lab for fabrication of the new crown. The patient gets a temporary crown to wear while the crown is being made. When the permanent crown is ready, the temporary one is removed, the dentist prepares the tooth and checks the fit of the new crown. When the fit is right, the crown is firmly fixed in place with dental cement. 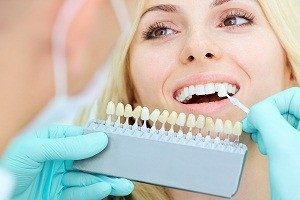 Porcelain dental crowns are an excellent solution for a damaged tooth because a crown essentially replaces the external portion of a tooth down to the gum level. The dentists at Parkside Dental practice in Newnan, GA have experience working with porcelain crowns. For great dental care, call a dentist in Newnan today and make an appointment.